Home / About Us / Frequently Asked Questions (FAQs) / Is Text Messaging HIPAA Compliant? To Whom Do the New Regulations Apply? The new HIPAA regulations apply to healthcare professionals, insurance companies who provide health insurance, employers who operate an HIPAA-covered healthcare scheme and any third party service providers who have access to private health information. All organizations have a duty to ensure that employees, brokers, administrators, and sub-contractors conform to the new HIPAA regulations, to train all relevant members of staff on the procedures that should be used when communicating sensitive patients´ data, and to educate on the consequences of data breaches and HIPAA violations. The failure to establish whether text messaging is HIPAA compliant in your particular environment, and comply with the new rules regarding HIPAA and data security, could result in criminal charges being brought by the Office of Civil Rights – or civil legal action being initiated by a patient – if sensitive private health information is compromised. When is Text Messaging HIPAA Compliant? The revisions to the Health Insurance Portability and Accountability Act 1996 acknowledged that changes in workplace practices and technological advances meant that private health information is more commonly being communicated and accessed using mobile devices such as smartphones, cell phones, and tablets. When organizations that maintain private health information have developed processes and procedures to contain who has access to private health information and control over how it is used. When encryption and physical data protection is in place for individuals who use their personal mobile devices to communicate private health information or to access sensitive patient data in the course of their work. When policies are in place to cover the scenarios in which mobile devices are lost or stolen, or if the owner wishes to dispose of their mobile device so that private health information can be deleted remotely (¹). When a system has been put in place to ensure that private health information cannot be maintained on the local storage facility of mobile devices used by employees and sub-contractors. (¹) When private health information has been breached, but the encrypted data can be deleted remotely, it will not be necessary to notify the patient or Office of Civil Rights provided that the data is removed in a timely manner. 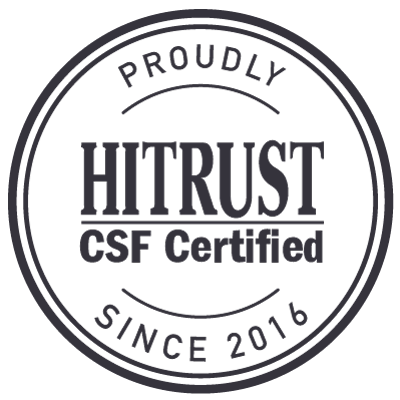 Keeping text messaging HIPAA compliant is done by “secure texting” – a process in which encrypted messages are transmitted from a secure server which stores all sensitive data locally, and which prevents the cell phone network that carries the message from keeping a copy. Secure messages can be accessed at any time in any location where there is an Internet connection, unless they have been programmed to expire automatically or recalled to protect the integrity of private health information. The owner of the mobile device can still use their Smartphone, cell phone or tablet to access personal SMSs, emails and social media communications but, to keep text messaging HIPAA compliant, sensitive information will be sent and received using the secure virtual private network. Compliance with HIPAA is assured, as a secure texting administrator has the option to remove a user from the network, and delete any sensitive data they may have had access to, if a risk to the security of private health information is identified. 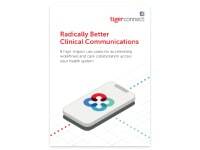 TigerConnect’s secure messaging platform keeps text messaging HIPAA compliant by using a secure, cloud-based application, which does not require the download of any software to operate and is simple to use. Most employees or sub-contractors will be able to text and stay HIPAA compliant without any training on how to use the application – although it is still vital that they are educated about the consequences of failing to protect the integrity of private health information. TigerConnect offers the facility for multiple users to collaborate so that a team of healthcare professions could all be involved in a single discussion despite being miles apart. Efficiency within an organization can be increased when TigerConnect is used on personal mobile devices to eliminate waiting times before personnel log into messaging accounts. The use of TigerConnect on personal mobile devices also eliminates delays while personnel find an available workstation to access messages or the private health information they require. With TigerConnect’s message read receipts, it is no longer necessary to follow up message recipients to see if messages have been received and read. 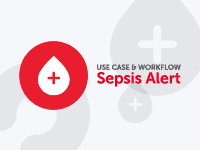 Administration controls and usage reports help maintain control over the flow of private health information and ensure compliant usage by all personnel – again saving time and increasing efficiency. 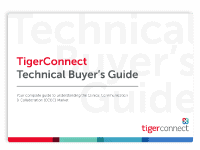 Get an up-close look at TigerConnect's secure communication solutions when you request a free, personalized product demo. simply call us at 1-800-572-0470.